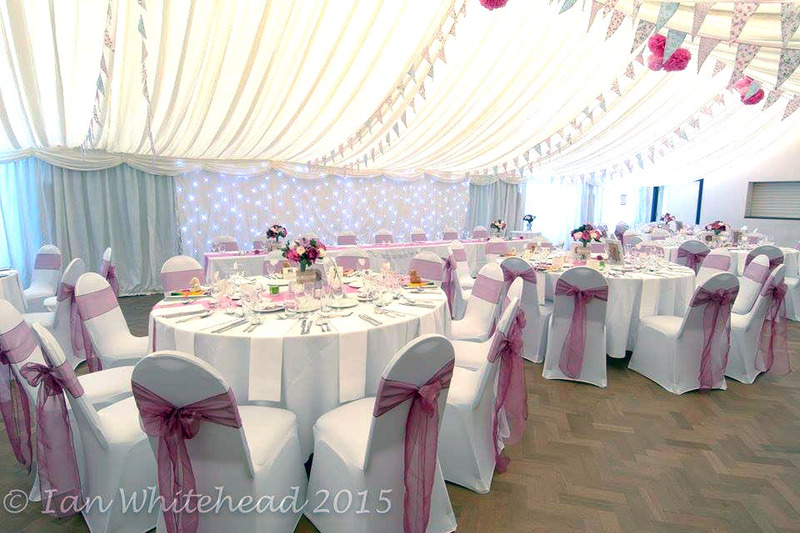 Our function rooms are a superb location for wedding receptions, they can be decorated to your unique theme. The function room holds 150 people or can be split 120/30. We know this is your special day and we will work with you to make it a day to remember. Licensed bar until 11.30pm – dancing until 11.45pm. Please download the booking form in Microsoft Word or PDF, and send to us with your deposit. 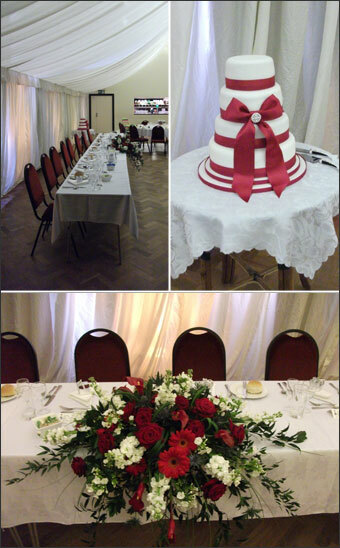 You can decorate the Hall in your own colour scheme and style or choose one of our 'marquee style' decorations. Prices are subject to change so please check with Karen Jones. Our catering staff who have over 25 years experience are happy to discuss any special menu requirements with you, we have three delicious menus which are adaptable. Our menus for buffet, hog roasts, bbq's, afternoon teas etc can be discussed with Karen. 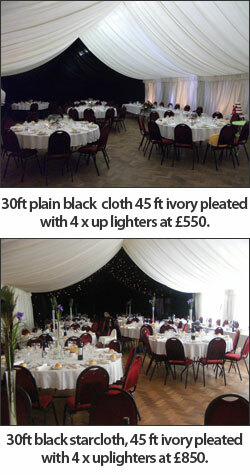 We offer drinks packages to suit everybody including a comprehensive Wedding Drinks Menu or order by the bottle. Champagne - Cost is dependent upon your choice. Corkage fee: £6.00 per bottle of wine, £10.00 per bottle of champagne. Glass hire available.